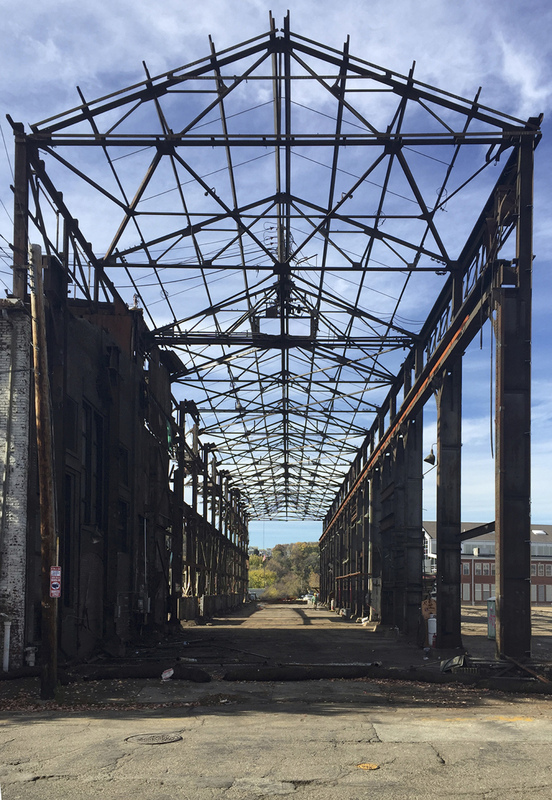 A former heavy industrial site in the city’s Lawrenceville neighborhood will soon be home to a $35 million, 182-unit apartment building with nearly 9,000 square feet of hospitality space–along with the reuse of a massive steel structure known as Bay 4 that is as long as a football field. The Foundry at 41st, as the development will be known, makes use of 12,000-square-feet industrial space on a five-acre lot in the 4100 block of Willow Street. The site was established in 1870 as a foundry, a factory for shaping metal, and has been unoccupied for several years. Fort Willow Developers’ President Alex Simakas, who bought the property from the Regional Industrial Development Corporation of Southwestern Pennsylvania, and Walnut Capital will break ground on the site Wednesday. The property is being designed by Rothschild Doyno Collaborative. 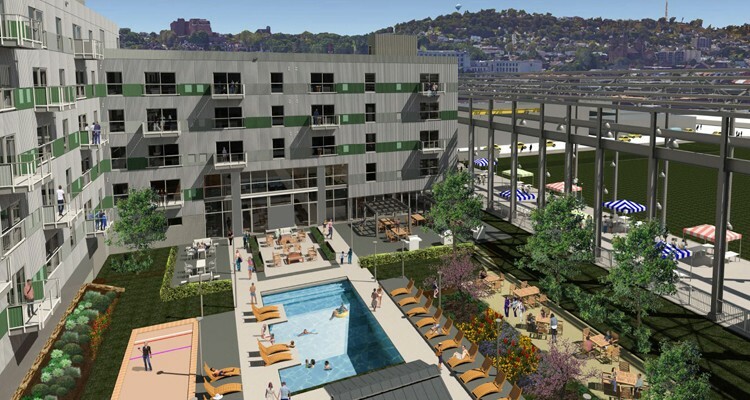 The building will be turned into “micro,” one- and two-bedroom apartments, and will include a bocce court, fire pits and a sand bar on the roof terrace with views of downtown. Not to mention a 300-foot long steel structural frame that runs the entire length of the property. The massive Bay 4 area is being transformed into a community space. Courtesy Fort Willow Development. Simakas envisions the Bay 4 –there were originally seven–part of the development (in photo on left) as a public space that can be used by the community. Exactly what that use will be is still to be determined. It will be housed in the massive structural steel frame left over from the foundry, which was built in the 1930s. The development, which will include the restoration of the 8,800- square-foot former “machine shop,” a public park space along Willow Street, and a parking garage for residents, is slated to be completed in 2017. Fort Willow Developers is collaborating with Walnut Capital on the development, which will serve as the project’s property manager and development partner. “We’re beyond excited to be a part of what we believe will be one of Pittsburgh’s and the world’s most hip, creative and transformative redevelopment projects,” says Gregg Perelman, Walnut Capital CEO.